You can rent fishing boats for up to 3 adults. They have quiet, fuel-efficient 9 h.p. motors so you can ‘sneak’ up on the fish! Rent some poles too. <*}}}>< YOU PAY NOTHING to reserve! Bass Lake has excellent year-round fishing. 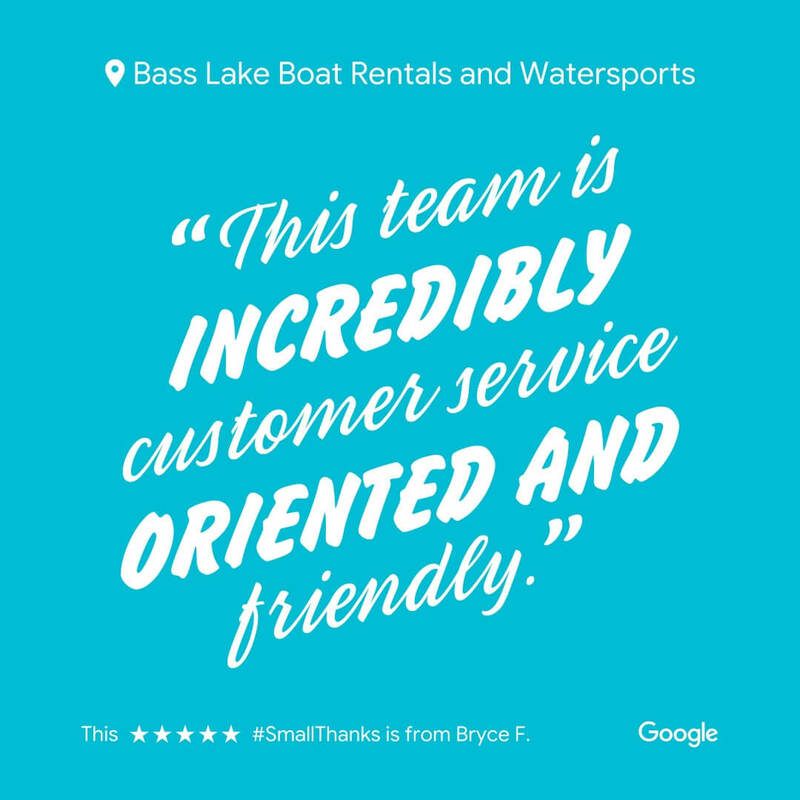 Rent a fishing boat and return with dinner. You can catch Bass (can you believe it? ), Crappie, Trout, Catfish, Sunfish, Perch, and fresh water Salmon (Kokanee). Rent some poles or bring some poles and see why it’s called ‘BASS LAKE’. Get up early and talk to the fish…no, really, our fish talk, but you gotta get here early, and you gotta bring Starbucks…please.